The island of Cyprus, in the Eastern Mediterranean, is one of the largest in the Med and has for centuries been an important stopping-off point for trade between the middle-east and western Europe. Whether enjoying a luxury yacht charter in Cyprus or on a private yacht, Cyprus is a fascinating place to explore. Once you’re away from the touristy coastal strip, Cyprus is a beautiful Mediterranean island unspoiled by mass tourism and blessed with beautiful scenery and millennia of history and culture. 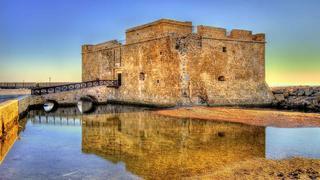 If ancient cities are your thing then there is enough on Cyprus to keep you occupied for weeks. There are also wineries and vineyards to visit, museums, churches, beaches and some of the best luxury spas in the Mediterranean. 1. Step back in time in Paphos Although one of the major tourist towns on the island, Paphos manages to maintain some semblance of sophistication (harbour-side, at least). There has been a town here for more than 3,000 years, and in the past Paphos has been the most important town on the island. Spend an hour or two looking round the Kato Paphos Archaeological Park near the harbour. This is a wonderful site with remains spanning 2,000 years of history. Some of the Roman mosaics here are absolutely breath-taking, and the site also boasts ruins from the medieval period right back to the Bronze-Age Minoan era. When you have had your fill of history and culture, meander to one of the many harbour-front cafes and restaurants for a sundowner or dinner of freshly-caught fish. The island of Cyprus, in the Eastern Mediterranean, is one of the largest in the Med and has for centuries been an important stopping-off point for trade between the middle-east and western Europe. Whether enjoying a luxury yacht charter in Cyprus or on a private yacht, Cyprus is a fascinating place to explore. Once you’re away from the touristy coastal strip, Cyprus is a beautiful Mediterranean island unspoiled by mass tourism and blessed with beautiful scenery and millennia of history and culture. 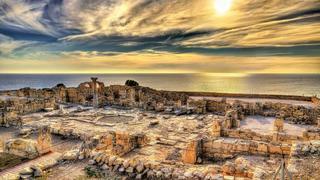 If ancient cities are your thing then there is enough on Cyprus to keep you occupied for weeks. There are also wineries and vineyards to visit, museums, churches, beaches and some of the best luxury spas in the Mediterranean. Although one of the major tourist towns on the island, Paphos manages to maintain some semblance of sophistication (harbour-side, at least). There has been a town here for more than 3,000 years, and in the past Paphos has been the most important town on the island. Spend an hour or two looking round the Kato Paphos Archaeological Park near the harbour. This is a wonderful site with remains spanning 2,000 years of history. Some of the Roman mosaics here are absolutely breath-taking, and the site also boasts ruins from the medieval period right back to the Bronze-Age Minoan era. When you have had your fill of history and culture, meander to one of the many harbour-front cafes and restaurants for a sundowner or dinner of freshly-caught fish. On the north-west corner of Cyprus is the Akamas Peninsula, one of Cyprus’ most beautiful areas of coastline and a national park. 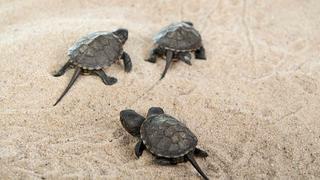 The scenery is spectacular, with wooded mountain sides where wild mountain sheep roam, sandy coves where turtles nest and dolphins swim, and where beautiful sea cliffs plunge into clear water. Spend the day at anchor, swimming or exploring in the tender. Or go ashore at Latsi, a rather charming little port on the north side of the peninsula, and rent a 4x4 for a day’s exploring. The peninsula is criss-crossed by small dirt tracks, but your reward for being a little adventurous is completely deserted beaches and stunning scenery. This area is so beautiful that you might consider spending a day or two here, depending on time and schedules. If you want to explore the region don't miss our guide to 8 days in undiscovered Northern Cyprus. On the north-west corner of Cyprus is the Akamas Peninsula, one of Cyprus’ most beautiful areas of coastline and a national park. The scenery is spectacular, with wooded mountain sides where wild mountain sheep roam, sandy coves where turtles nest and dolphins swim, and where beautiful sea cliffs plunge into clear water. Spend the day at anchor, swimming or exploring in the tender. Or go ashore at Latsi, a rather charming little port on the north side of the peninsula, and rent a 4x4 for a day’s exploring. The peninsula is criss-crossed by small dirt tracks, but your reward for being a little adventurous is completely deserted beaches and stunning scenery. This area is so beautiful that you might consider spending a day or two here, depending on time and schedules. If you want to explore the region don't miss our guide to 8 days in undiscovered Northern Cyprus. In the past, wine from Cyprus has often been considered rather agricultural and lacking finesse, but in recent years a more professional approach has been brought to the island’s wine-making, with the result that there are now some exceedingly fine wines being produced in Cyprus and it is a perfect place for wine tasting by yacht. 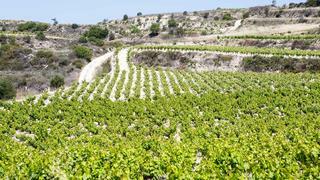 The Cyprus Tourist Organisation has produced six excellent 20-page wine route guides, for those that want to combine exploring the interior of the island with a taste of Cyprus’ best wines. Three routes start from Paphos, and three from Limassol (where the marina has excellent superyacht facilities), and each guides the visitor through the region, and talks about the vineyards and wineries as well as local history and culture. Either rent a car from one of the big car-hire companies, or else get a chauffeur-driven car and let someone else do the navigating. In the past, wine from Cyprus has often been considered rather agricultural and lacking finesse, but in recent years a more professional approach has been brought to the island’s wine-making, with the result that there are now some exceedingly fine wines being produced in Cyprus and it is a perfect place for wine tasting by yacht. The Cyprus Tourist Organisation has produced six excellent 20-page wine route guides, for those that want to combine exploring the interior of the island with a taste of Cyprus’ best wines. Three routes start from Paphos, and three from Limassol (where the marina has excellent superyacht facilities), and each guides the visitor through the region, and talks about the vineyards and wineries as well as local history and culture. Either rent a car from one of the big car-hire companies, or else get a chauffeur-driven car and let someone else do the navigating. One of the most beautiful archeological sites on Cyprus, Kourion sits atop a cliff just to the west of Limassol. Originally founded by the Myceneans in the Bronze Age, the site was developed and expanded by the Hellenic Greeks and then the Romans, to make it one of the most impressive and important cities of the ancient world. These days the site is enormous, and it’s easy to spend several hours wandering amongst the ruins. There are some beautiful mosaics, the remains of some very impressive Roman villas, and a stunning amphitheatre that looks out over the sea. And it is here, in this immaculately-restored cliff-top amphitheatre, that they hold concerts and plays during the summer months. The acoustics in the theatre are astonishing, and there can be few better backdrops for attending a concert or play than Kourion. One of the most beautiful archeological sites on Cyprus, Kourion sits atop a cliff just to the west of Limassol. Originally founded by the Myceneans in the Bronze Age, the site was developed and expanded by the Hellenic Greeks and then the Romans, to make it one of the most impressive and important cities of the ancient world. These days the site is enormous, and it’s easy to spend several hours wandering amongst the ruins. There are some beautiful mosaics, the remains of some very impressive Roman villas, and a stunning amphitheatre that looks out over the sea. And it is here, in this immaculately-restored cliff-top amphitheatre, that they hold concerts and plays during the summer months. The acoustics in the theatre are astonishing, and there can be few better backdrops for attending a concert or play than Kourion. 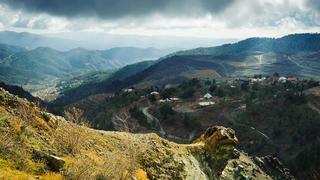 A day in the Troodos mountains is a must-do for anyone spending time in Cyprus. The mountainous, verdant centre of the island is dotted with picturesque villages, many of which have side-streets too narrow for cars. Up in the mountains the summer temperatures are more bearable and the views are stunning. Mountain-top villages, remote monasteries, and the famous “painted churches” offer some of the most astonishing Byzantine frescoes you will ever see. And while you are in the mountains, it’s worth getting out of the hire-car for a few hours for some hiking. Again, the Cyprus Tourism Organisation has produced some excellent booklets for hikers, whether you’re walking the E4 from one end of the island to the other, or merely spending a couple of hours on one of the island’s many nature trails. The routes are well signed, there are usually villages every seven or eight kilometres, and it’s a great way to experience the less well-known side of the island. A day in the Troodos mountains is a must-do for anyone spending time in Cyprus. The mountainous, verdant centre of the island is dotted with picturesque villages, many of which have side-streets too narrow for cars. Up in the mountains the summer temperatures are more bearable and the views are stunning. Mountain-top villages, remote monasteries, and the famous “painted churches” offer some of the most astonishing Byzantine frescoes you will ever see. And while you are in the mountains, it’s worth getting out of the hire-car for a few hours for some hiking. Again, the Cyprus Tourism Organisation has produced some excellent booklets for hikers, whether you’re walking the E4 from one end of the island to the other, or merely spending a couple of hours on one of the island’s many nature trails. The routes are well signed, there are usually villages every seven or eight kilometres, and it’s a great way to experience the less well-known side of the island. Nicosia, the capital of Cyprus, is definitely worth a day out. Straddling the Greek-Turkish border towards the north of the island, Nicosia’s old town is fascinating, and there is plenty to interest any visitor. But it’s the restored Turkish bath of Buyuk Hamam that you should really try to experience. 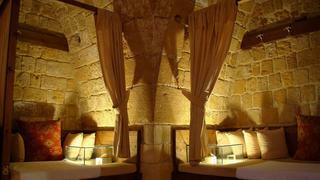 Buyuk Hamam is a famous Turkish bath in Nicosia’s old town, occupying what was once a 14th century church. It was converted into a bath-house by the Ottomans in the 16th century, and still offers traditional services for those in search of the authentic Turkish bath experience — scrubbing, pummelling, sweating, washing. Nicosia, the capital of Cyprus, is definitely worth a day out. Straddling the Greek-Turkish border towards the north of the island, Nicosia’s old town is fascinating, and there is plenty to interest any visitor. But it’s the restored Turkish bath of Buyuk Hamam that you should really try to experience. Buyuk Hamam is a famous Turkish bath in Nicosia’s old town, occupying what was once a 14th century church. It was converted into a bath-house by the Ottomans in the 16th century, and still offers traditional services for those in search of the authentic Turkish bath experience — scrubbing, pummelling, sweating, washing.